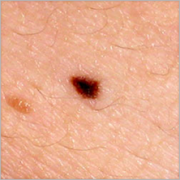 Moles are benign, pigmented (coloured) lesions of the skin, commonly brown to black in color. 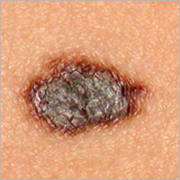 Moles are benign, pigmented (coloured) lesions of the skin, commonly brown to black in color. Most moles are between a couple of mm to 1 cm in size. 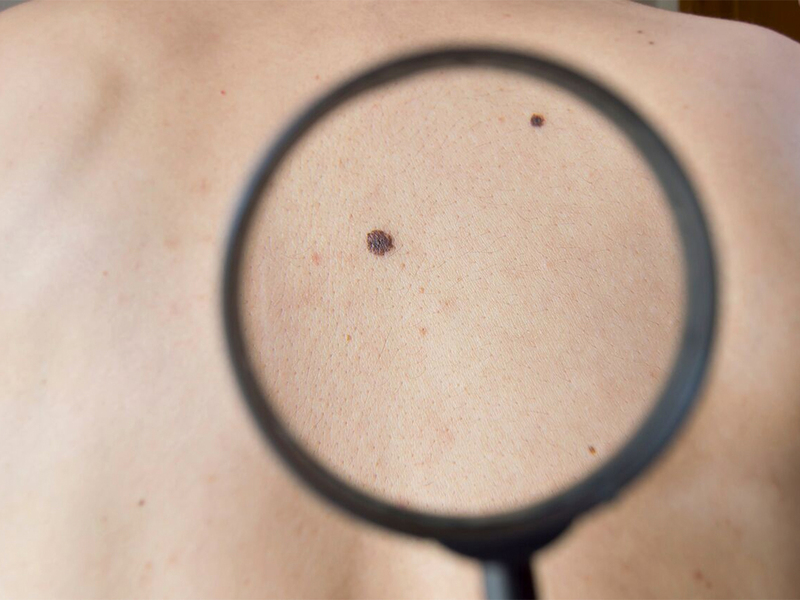 Most moles are harmless skin lesions, but there are moles that have a greater chance of developing melanoma in them, and exactly because of that, regular skin monitoring is a step of great importance in early melanoma detection, as well as detection of other skin cancers . Moles are presented by an uneven gathering and growth of melanocytic cells in the skin. Melanocytic cells produce the pigment melanin, which gives the skin its colour and is a natural source of skin protection against damage caused by the sun’s UV rays. These cells should be evenly distributed throughout our skin (never two of them together), covering the whole surface in an even fashion, with the exception of palms and soles. A certain number of moles are present at birth (congenital moles), all other moles are considered acquired. The majority of them appear during the first 20 years of life, other moles can form later in life. 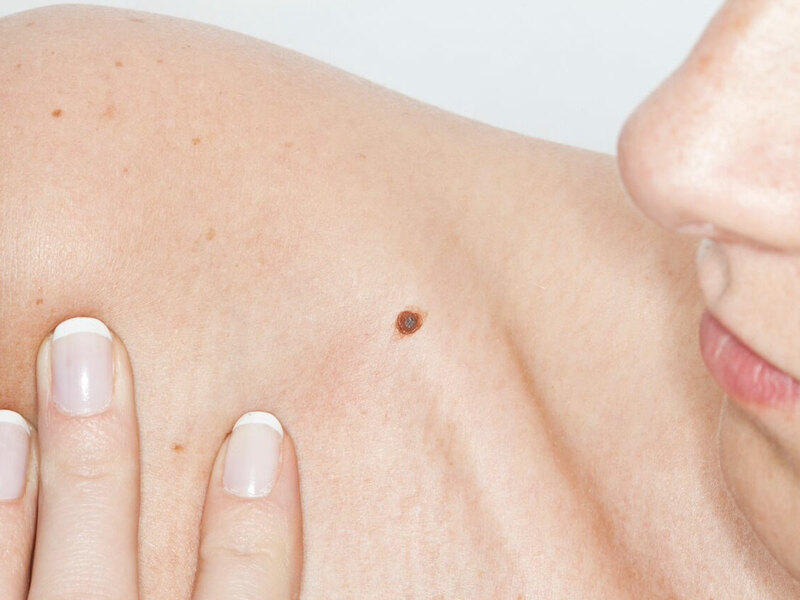 In time, most of the moles will go slightly lighter in color and become elevated. Moles can go darker in some periods, i.e. after sun tanning, in teenagers and during pregnancy. Certain moles will develop hairs. A small number of moles may spontaneously disappear over time. Some of them will not change during life. Typical moles (common or regular) are usually up to 6mm in diameter, one colour ranging from light brown to black, symmetrical, with clear borders. They develop during the first 20 years of life, their size corresponds to our body growth, but they don’t significantly change their appearance and colour. A typical mole can be flush to the skin, elevated (above the skin) or hanging, it can be with or without hairs. It can be soft or hard to the touch. It’s typical no matter if it was there since birth, if it developed in early youth or later during life. The fundamental characteristic of its typicality is that it doesn’t change! An atypical mole differs from other moles by its size, colour and shape. An atypical mole is larger than 6mm in diameter, it has multiple colours (at least 2 colours), it’s irregular in shape (asymmetrical) and the borders are discontinued, jagged or unclear. These are the features that can be seen by the naked eye. Histopathological characteristics, that a doctor-pathologist can see in atypical moles are completely different and bring this mole very close to melanoma, such a mole is known as a Dysplastic mole (Dysplastic nevus is its histopathological diagnosis). Due to these characteristics, many consider it a “precancer”, essentially a state that directly leads to melanoma. 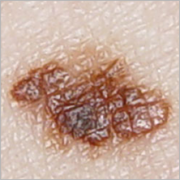 However, the fact stands that atypical moles present only a greater possibility for developing melanoma, but not each of them will become one. Out of all melanomas, half are developed in existing atypical moles, and the other half of all melanomas are developed in completely healthy skin. Melanoma is a kind of skin carcinoma that originates from melanocytic cells which also give our skin colour. When a melanocytic cell gets damaged, it loses its ability to control its growth, and melanoma formation begins. 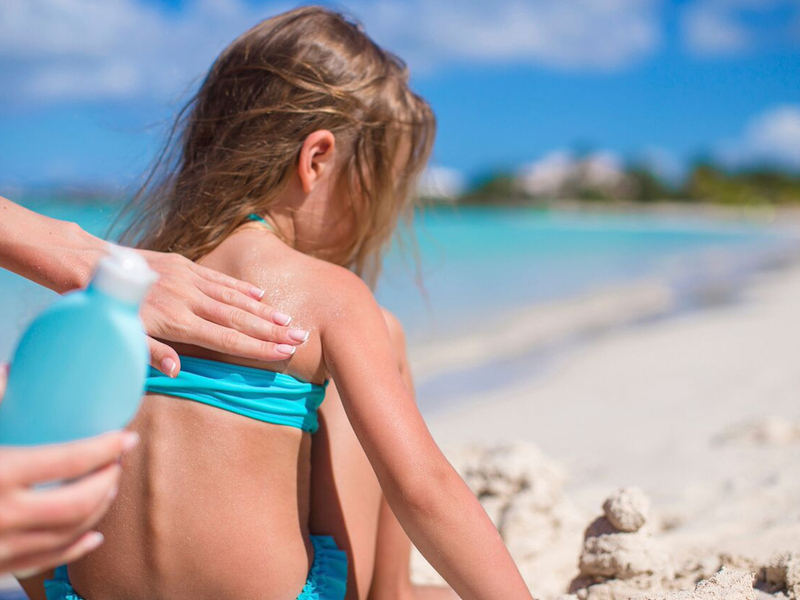 Protection from all sources of increased UV radiation presents primary prevention. The principal source of UV radiation is the sun, after that, sun beds and different UV lamps. The ABCDE criteria represent a commonly used guide for monitor your skin for early signs of melanoma. You should use it while doing your skin self-examination. It is advised to inspect all moles bigger than 6mm every month.